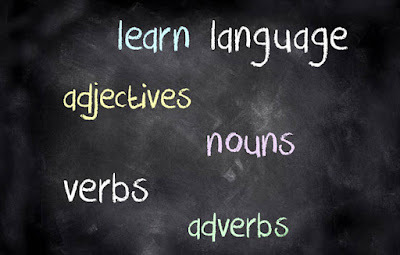 In this group of verb, the simple past tense and past participle end in - d- ed. Eg. = Touched, Killed, Passed. 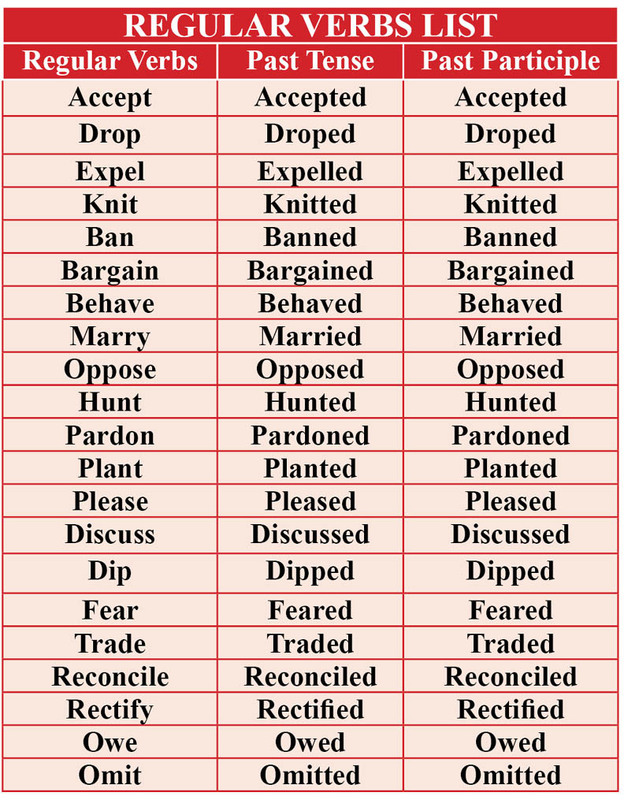 Verbs where ‘ed’ is not added in the past tense and past participle. 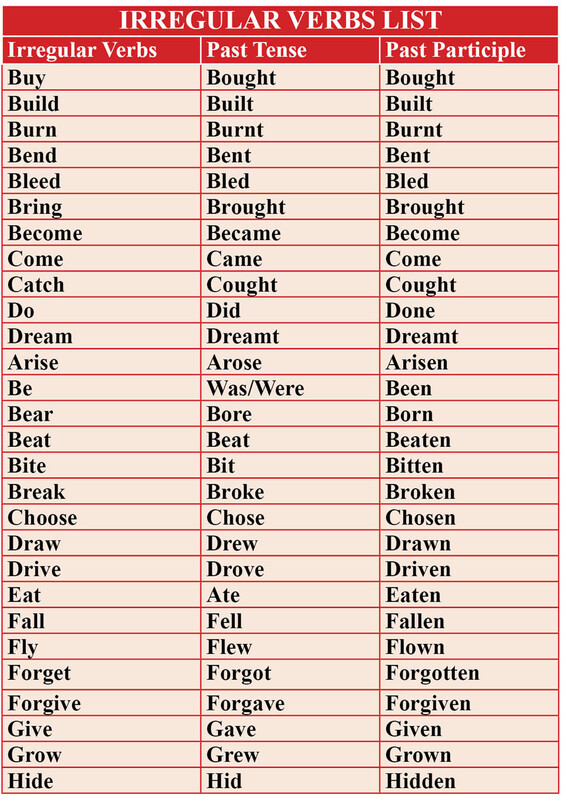 such verbs are called Irregular Verbs. Find the verb in the following sentences. The passenger should have been stopped at the gate. He disclosed me a secret. The car stopped at once. The little boy hit the big girl. Down the road hopped the rabbit. The mail could have arrived earlier. Have the men come all the way from Europe. Don’t go into that house!